Designed by the famous French architect, Le Corbusier, Chandigarh is undoubtedly one of the most well-planned cities in the country. And, it’s not just the meticulous urban planning that Chandigarh is famous for; the city is also known for its scenic locations. No wonder they call it ‘The City Beautiful’. So, what are the places that one must visit to experience the surreal beauty of the city? Well, there are many places to visit in Chandigarh, such as masterpieces of contemporary architecture as well as gardens. Then, there are these serene hill stations near Chandigarh where summers never seem to arrive. 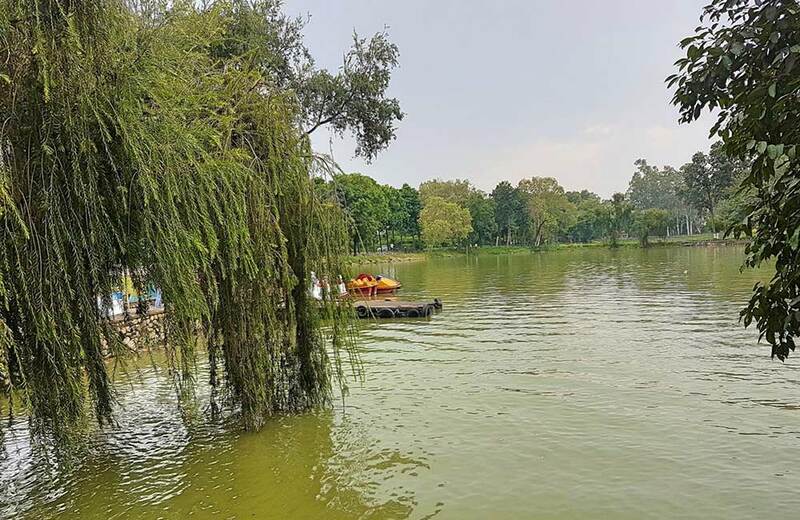 But, in this post, we are going to talk about the quiet, quaint and picturesque lakes in and around Chandigarh that attract locals and tourists, alike. The best part about these lakes is that depending upon your mood and who you are with, these lakes offer a unique experience each time you visit these. Whether you want to visit the lake for an early morning stroll or spend a romantic evening with your beloved, watching the sunset, these lakes in and around Chandigarh offer it all. Come, let’s take a look. There’s just one word to describe the Sukhna Lake in Chandigarh – beautiful. 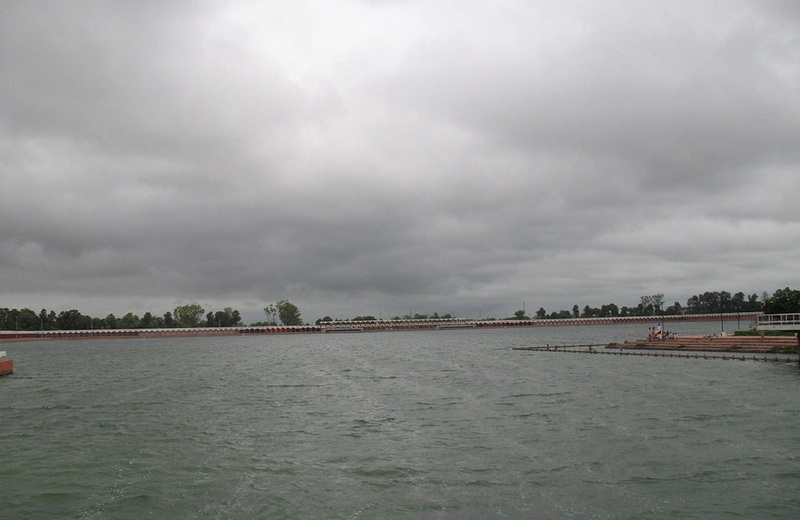 Located in the foothills of the Himalayas, Sukhna Lake is one of the most popular tourist attractions in Chandigarh. It was created in 1958 by Le Corbusier, who was known for his passion for providing better living conditions to the people of populated cities. In fact, one of the reasons he created Sukhna Lake is that he was hopeful that the people living here would visit it to escape the city’s rising pollution and get some fresh air. Today, hundreds of people of all ages visit the lake for exercise, picnic or a casual stroll. The lake was created by damming a season stream, Sukhna Choe that flows from the Shivalik Hills. Known for its scenic beauty, it is a favorite of photographers and painters, who love to capture the beauty of nature. And, in case you are a nature lover, you would love this lake as it is home to several migratory birds, such as the Siberian ducks, cranes and storks that arrive during the winter season. Sukhna Lake is also a venue for various festivals, with the Mango Festival being the most famous of all. Last, but not the least, boating…you can enjoy this ever-popular activity on this lake with your family or that special someone. Though not as popular as Sukhna Lake, Dhanas Lake is a picturesque waterbody that has plenty to offer to visitors. The best thing about the lake is that it is located within the city, yet far from the madding crowd. Dhanas Lake, unlike others in Chandigarh, is devoid of jogging tracks, boating and other such facilities, but offers stunning views of nature. The colorful flowers, beautiful birds and the lush greenery surrounding the lake are a visual treat for nature lovers. If you are looking for a place to steal a few moments with your loved ones, then Dhanas Lake is the place to be. 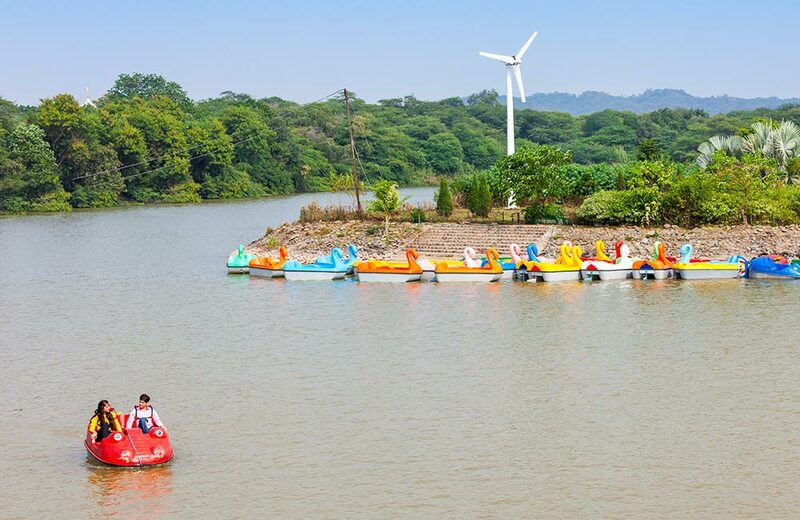 Trivia: Recently, the Chandigarh Renewable Energy and Science & Technology Promotion Society (CREST), as part of its initiative to promote solar energy, set up a 10 kW peak floating Solar Photovoltaic plant at the lake. Although a newly excavated pond, the New Lake in Chandigarh has become quite a hit. The lake is located in sector 42, a relatively densely forested of Chandigarh. It is mostly frequented by couples and college students as it is close to several higher education institutions. If you want to spend some time, far from the chaos and clamor of the city, then you must definitely come here. 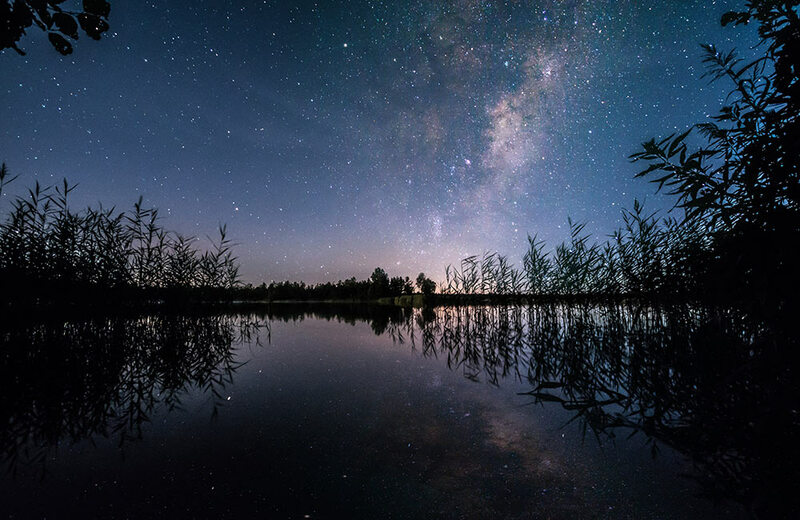 The best time to visit the lake is after nightfall, when you can sit, gazing at the stars. The lake is not spread in an area as big as Sukhna Lake, but it does have a jogging track and other facilities. Also, it has been officially declared as a site for hosting religious festivals. The Chhath Puja, for instance, is celebrated with great enthusiasm and fervor, on the shores of New Lake that is thronged by natives of Bihar, Jharkhand and Uttar Pradesh residing in the city. We all know the importance of ritualistic bathing for the Hindus. Brahma Sarovar, an ancient water pool, is, therefore, not just a lake, but a sacred place for the Hindus where they bathe for spiritual wellness and purity. According to mythology, the lake is the cradle of civilization as it was here that Lord Brahma created the universe after a huge ceremony (yagya). 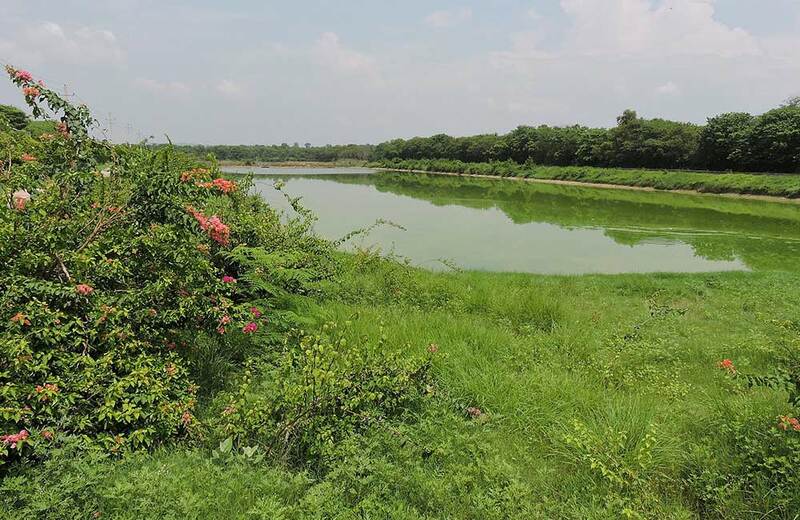 Also, it is believed Duryodhan found temporary refuge from Bhima in this very waterbody after having lost the battle of Mahabharata against the Pandavas. There is a temple dedicated to Lord Shiva, right in the middle of the lake, which you can access via a bridge. The best time to visit the lake is during Gita Jayanti celebrations that take place in late November or early-to-mid December. During the festival, you get to have a magical experience with a breathtaking sight of the lake with lamps floating and sounds of priests chanting mantras in the background. And, if you are a bird lover, it can’t get better as this the time when the migratory birds come here for their winter stay. During the solar eclipse, a lot of devotees visit it because it is believed that taking a dip in the lake during this period helps one wash away all their sins. Next on the list of lakes near Chandigarh is the Sannihit Lake that is situated in Thanesar. 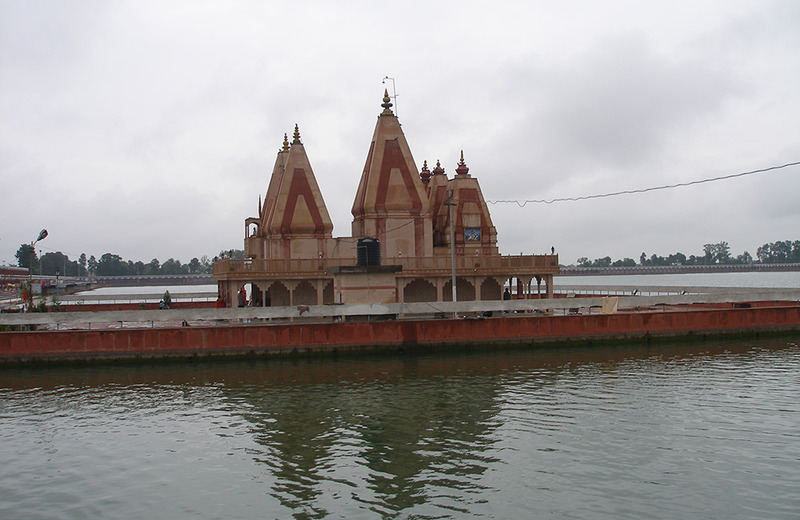 The lake is believed to be a confluence of all the major Sarasvatis (mythical rivers mentioned in the Vedas), and is, therefore, one of the most revered Hindus sites in the region. It is a popular place for offering prayers and pind daan, a memorial service conducted after the death of a person. Devotees from all parts of the country visit this lake to take a dip, which is said to rid them of their sins. Bathing in the lake during Amavasya (new moon) or solar eclipse is considered most auspicious as it is believed that taking a dip in the lake on these days is equivalent to performing the Ashvamedha Yagya (an ancient ritual carried out by Indian rulers to prove their imperial authority) 1000 times! There are several legends associated with Sannihit Lake, one of which is that of Lord Krishna reuniting with Radha here. It is also considered the home of Lord Vishnu, and there is a shrine dedicated to him near the lake. Dhruv Bhagat, Dhruv Narayan, Laxmi Narayan, Goddess Durga and Lord Hanuman also have temples dedicated to them here. Located midway between Delhi and Chandigarh (around 125 km from both cities), Karna Lake is one of the major tourist spots in the Karnal district of Haryana. There’s a common belief that Karna, one of the major characters in the Mahabharata used to take bath in this lake. It’s also believed that it was at this lake that Karna gave his armor to Indra, Arjuna’s godfather. There are lawns around the lake where you can sit and relax. Boating is another great thing to do on the lake, allowing you to repose and also see ducks swimming about merrily. Besides the above-mentioned lakes in and around Chandigarh, there are many other places that can be visited for a fun day out. For example, there are various waterparks in Chandigarh where you can relax and indulge in several activities. Or, if you are a foodie and want to go on a rich culinary journey, there are many popular restaurants in Chandigarh you can head to. And, how can you be in a modern city like Chandigarh and not experience the nightlife? Thankfully, there are scores of pubs and bars in Chandigarh where night owls are guaranteed a wonderful evening.